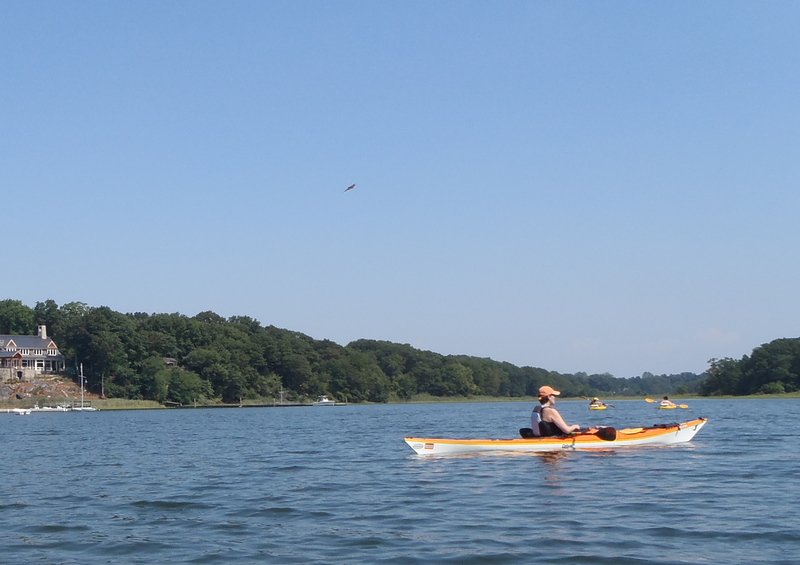 Posted in: Kayaking, Nature. Tagged: Marshlands Conservancy, migration, monarchs. Paddlers. Motorboaters. The Flume riders at Rye Playland. 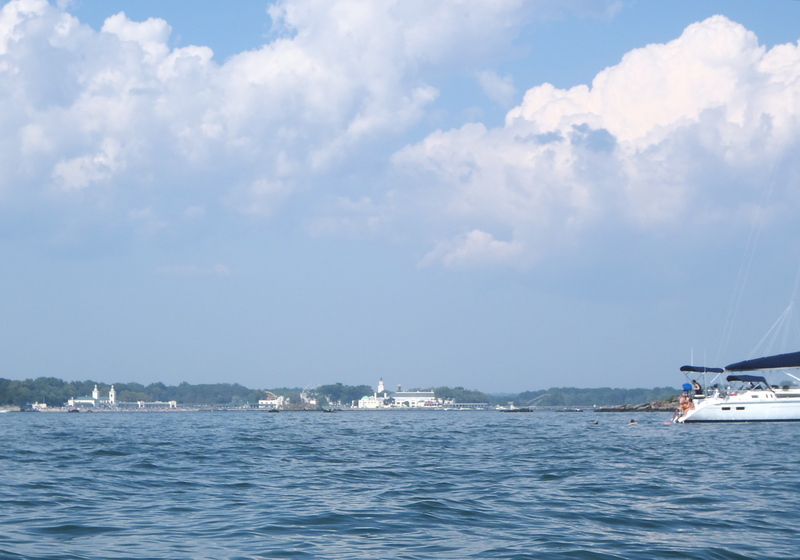 EVERYBODY’s out on the water in some way today, determined to squeeze the last drops of summer from this Last Official Weekend. Including North America’s smallest marathoners—monarch butterflies. 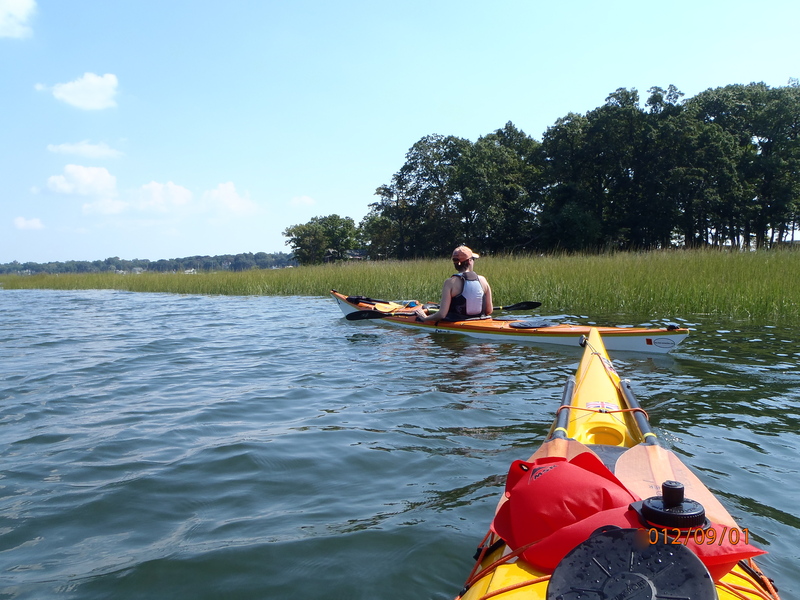 We counted 166 of them on our paddle from Larchmont to Rye (a couple of hours). Where are they coming from? Where are they going? 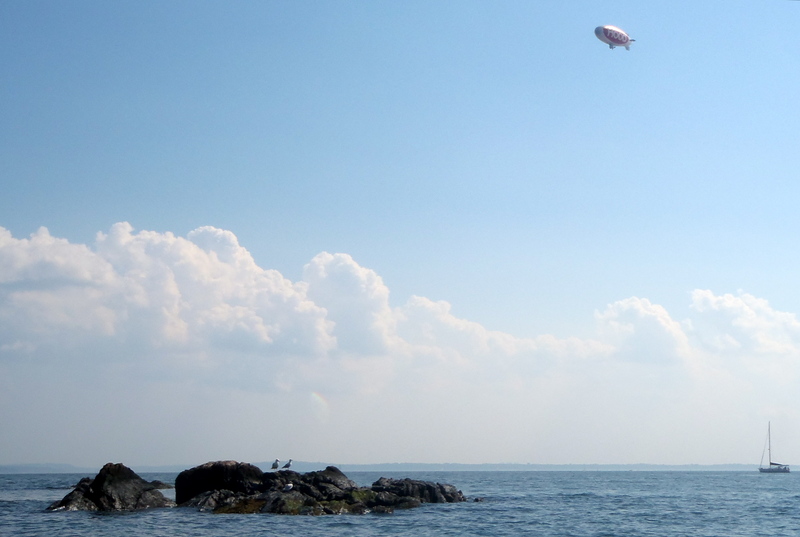 How the hell do they DO THAT, flitting miles across the Sound, without getting blown into the drink? We couldn’t wait to get home and learn more (thanks, Monarch-Butterfly.com, for the info copied below.) Turns out these little guys are even more remarkable than we ever imagined. Another miracle…we got a picture. 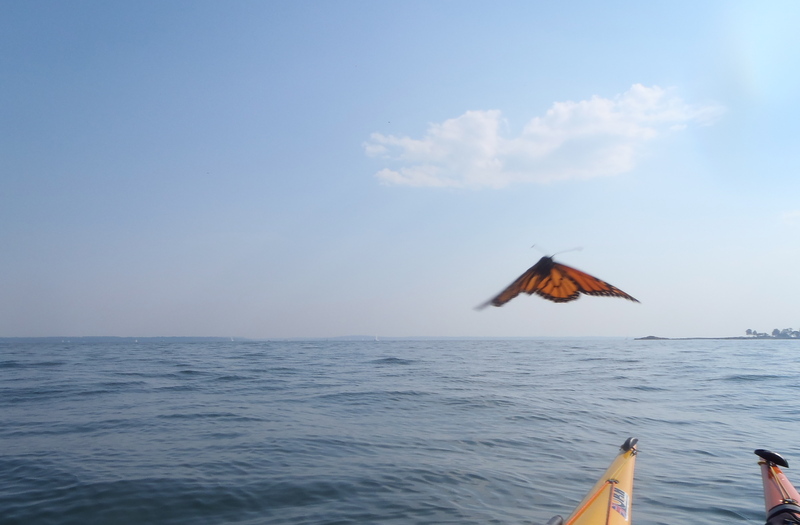 Monarch #164 likes our kayaks’ colors. Orange rocks! Monarch butterflies go through four stages during one life cycle, and through four generations in one year. The four stages of the monarch butterfly life cycle are the egg, the larvae (caterpillar), the pupa (chrysalis), and the adult butterfly. The four generations are actually four different butterflies going through these four stages during one year until it is time to start over again with stage one and generation one. Stalking butterflies near the Marshlands Conservancy. Aside from being poisonous (but not to humans), monarchs are NEXT TO IMPOSSIBLE to photograph when you’re trying (and floating). If you zoom in enough, to that area above and behind Jean, you’ll see this monarch butterfly laughing his little antennae off.